The game has now been licensed through the University of Cambridge's technology transfer arm to app developer Peak. Researchers in the UK have designed a game that can improve users’ concentration, with a version being released today as part of the Peak Brain Training app for free. The team that developed and tested the game, called Decoder, from the University of Cambridge’s Behavioural and Clinical Neuroscience Institute have demonstrated that playing it for eight hours over a one-month period on an iPad led to improvements in the attention of users. In their study, published today in the Frontiers in Behavioural Neuroscience journal, researchers divided 75 healthy adults from the Cambridgeshire area aged 18-30 into three groups: one receiving the Decoder game, one playing Bingo, and one that were not given anything. Study participants from the first two groups played the games under supervision during eight hour-long sessions over four weeks, and all of them were tested at the beginning and the end of the trial using the CANTAB Rapid Visual Information processing (RVP) test, a measure of visual sustained attention. Participants were asked to detect sequences of digits. A white box appeared in the middle of the screen with digits from two to nine in a pseudo-random order, at a rate of 100 per minute, and they had to press a button every time they detected a sequence, with the test taking around five minutes. Findings indicated that the concentration of those playing the Decoder game "significantly improved", as measured by the RVP, with the difference in performance being compared to effects seen using stimulants such as Ritalin, a common treatment for ADHD. Professor Barbara Sahakian from the University's Department of Psychiatry said they were planning to start this year a study with traumatic brain injury patients. Researchers also tested the ability of participants on the Trail Making Test to see if Decoder led to improvements in users' concentration without affecting their ability to shift attention. They were first asked to attend to numbers, shift to letters, and then back to numbers, and results indicated that individuals playing Decoder showed "significantly better performance" compared with those playing Bingo. 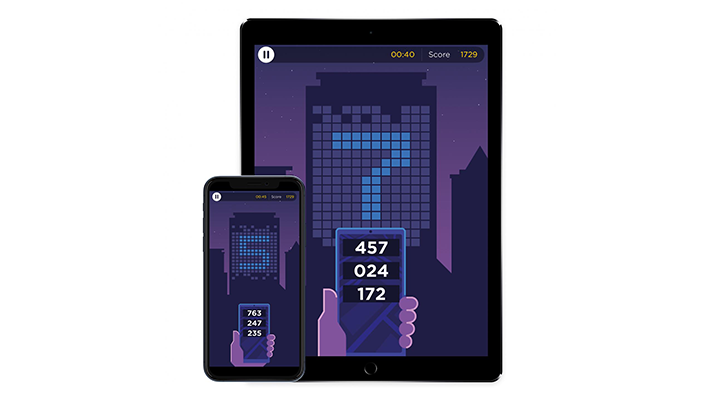 The game has now been licensed through the technology transfer arm of the University of Cambridge to Peak, which has developed a version for Apple devices today made available to both free and pro users. An Android version is also said to be in the works. "Peak's version of Decoder is even more challenging than our original test game, so it will allow players to continue to gain even larger benefits in performance over time," Professor Sahakian said. "By licensing our game, we hope it can reach a wide audience who are able to benefit by improving their attention."